On the 29th of July, in the full flow of the Glasgow 2014 Commonwealth Games, some of the top mountain bikers in the world will be racing around Cathkin Braes. The chosen few, lucky enough to pull on National team kit, will be equally excited and nervous and in for a real treat on a world-class course. 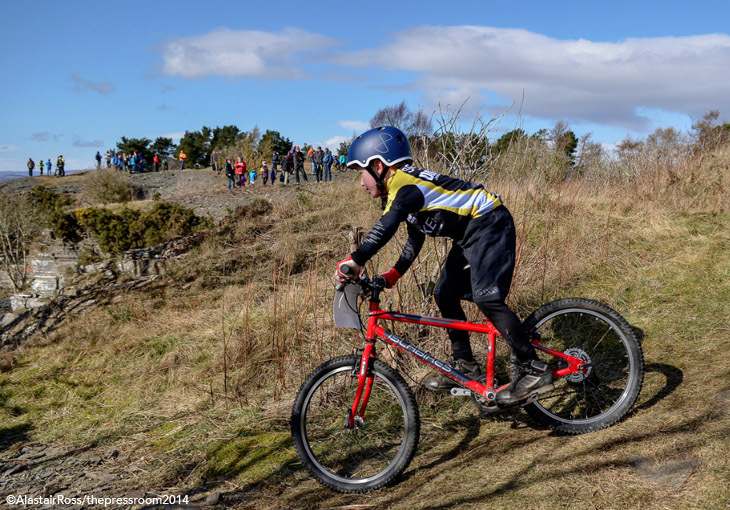 On Sunday the 13th of April, the lap times may not be quite as fast, but the racing will merit the same spectacle as the Scottish Cross Country (SXC) Series descends on the venue. Riders will be treated to a thrilling course, with few moments of rest between the well-built man made features. A spectator favourite will be the Double Dare – a dual slalom running down the hill to Castlemilk, with berms, jumps and rocks. A quick breath and there’s the Clyde Climb and Heartbreaker Hill to test leg and lung power. For 8km the course twists and turns its way between the trees and rocks, a mere 15 minutes drive from the centre of Glasgow. With 150 riders already entered and many more set to enter on the day, there will be large competitive fields, with open and fast racing. 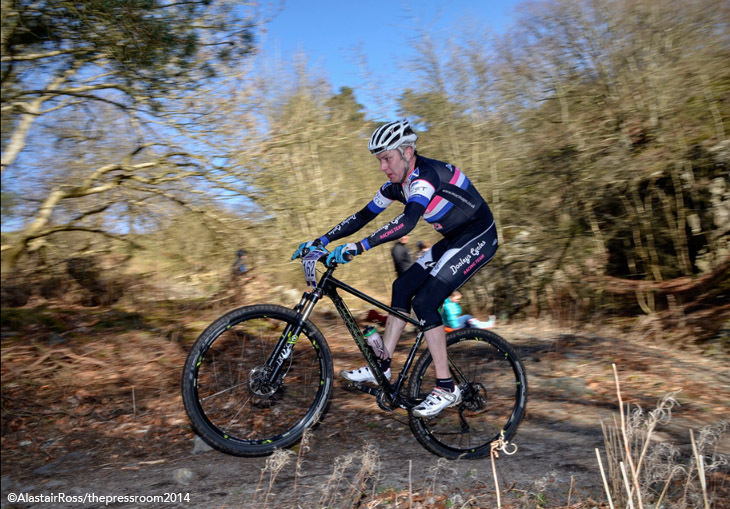 That’s not to say that everyone will be lycra-clad whippets – for 2014 the SXC have introduced a Taster category. It’s a non-prize winning category, where competitors will be taking (on average) 30-40 minutes to complete a lap, and having a friendly go at mountain bike racing. In the first race start of the day, at 11am, riders will set off in the Youth, Juvenile, Grand Veteran, Super Veteran and Taster categories, alongside all the female categories. Despite being the youngest and oldest riders on the full course, these riders are no less fast! In the Women’s categories, Juvenile rider Anna McGorum (Peebles CC) will be looking to improve on her second place at SXC1 at Forfar, while Youth rider Ella Conolly (Ben Wyvis CC) will be hoping to make it two wins from two. British Junior Champion, Erika Allen (Thomsons Cycles) will be hoping for better fortunes at Cathkin, following her puncture at Forfar, with Eve Hanlon Cole (Peebles CC) also entered. Anne Murray (Team Jewson MI Racing- Polypipe) will be going for her second win of the 2014 SXC Series in the Veteran category. In the female Elite category, Round 1 winner, Gillian Pratt (Team Leslie Bikeshop) will face stiff competition from Northern Irish rider Claire Oakley and returning racer Hannah Ferguson. For the Juvenile boys, a strong field will line up, including the top 3 racers from Forfar; Sean Flynn (Edinburgh RC), Tam Munro-White (Ben Wyvis CC) and Tim Shoreman (Deeside Thistle CC). It’s a similar situation in the Youth boys, with current Scottish Champion and SXC1 victor Conner Johnstone (Team Leslie Bikeshop) entered alongside Forfar podium finisher Finn Crockett (Ben Wyvis CC). However, for both these categories in such a short race, one mistake or one clever line choice could make all the difference between winning and losing, so the racing will be fast and furious. In the Grand Veterans, a large field will line up, with Mark Barnett (Team Leslie Bikeshop) hoping to take his second victory in his first year in the category. John Newton (Pearson Cycling Club) will be hoping to replicate his Forfar success in the Super Veteran category at Cathkin Braes. The Under 12 racers will be set off at 12.30pm, in a slight amendment to the Round 1 race schedule, to allow more time for these races. 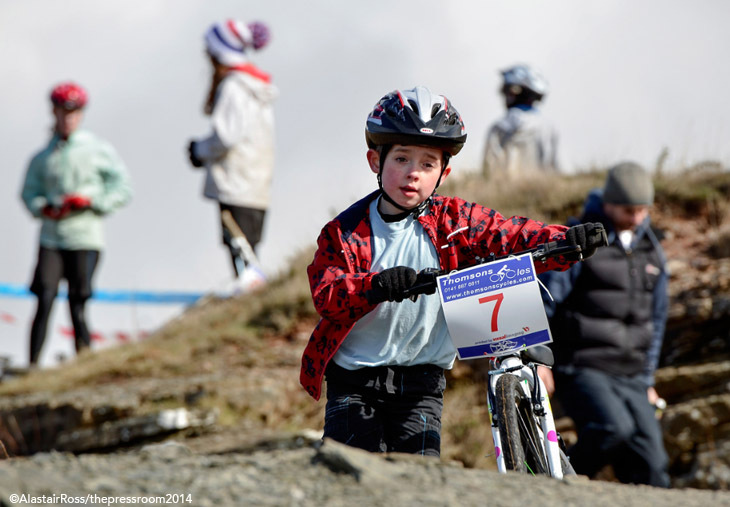 With three separate race starts, and huge fields expected in the Under 8s, Under 10s and Under 12s, everyone is encouraged to cheer these young riders on. All entry for the Under 12s races is on the day, so we can’t make any predictions yet – but we can tell you for certain that the racing will be fast, fun and entertaining! The final race of the day will include the Elite and Junior men, the Sport, Master and Veteran Men. After an enthralling sprint finish in Forfar, Rob Friel (Glasgow Wheelers), will be looking to claim another victory, perhaps without such a nail-biting finish! At Cathkin Braes, on the Commonwealth Games course, Rob will have more than fifteen fellow competitors all jostling him for that top spot. In an international field including riders from Northern Ireland and the Isle of Man, with so many unknowns, any one of a number of riders could take the win. In the Junior race, the money would be on Conor Nally (Hardie Bikes) for the win; however with an international field there too, he could be stopped in his tracks. Graeme Warren (Velo Club Moulin) will be looking to claim his second victory of the 2014 SXC Series in the Sport category. With only one of the podium finishers from Forfar pre-entered in the Masters category, Scott Logan (The Bicycle Works), it will be all to play for. 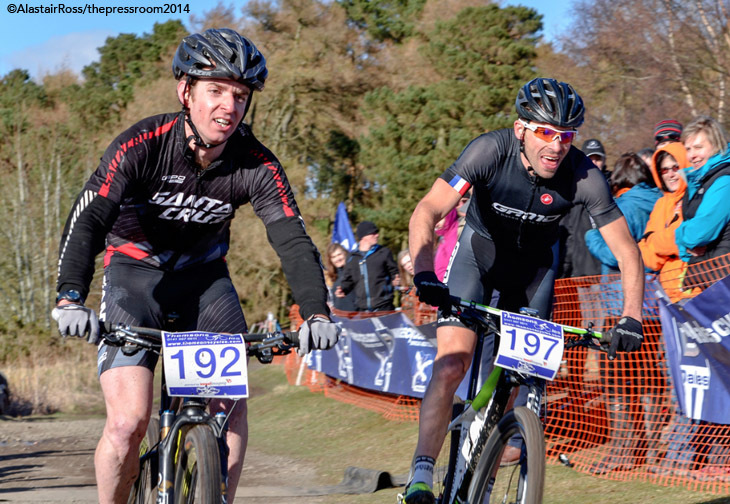 With a Team Leslie Bikeshop one-two at Forfar, reigning Scottish Champion Gary McCrae and teammate Damien Slorach will be hoping for similar fortunes at Cathkin Braes. However with 25 other extremely fast riders entered, competition will be tight. 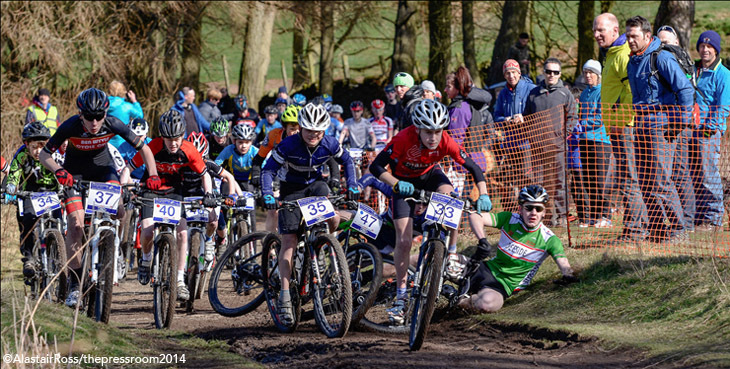 The second round of the 2014 SXC Series at Cathkin Braes will also play host to the Scottish Student Sport Championships, with championship medals on offer for students in the Junior, Sport and Elite categories. Everyone is encouraged to come along, to participate and to get involved with supporting the racers as they take on the challenging Cathkin Braes Commonwealth Games course.